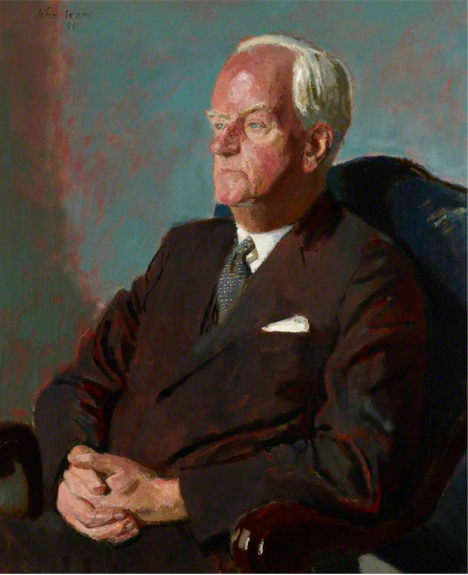 Sir Ernest Bullock (1890-1979) served as the Director of the Royal College of Music (RCM) from 1952 to 1960, where he had been a professor of organ in the 1930s. Following studies in Leeds and Durham, he was the sub-organist of Manchester Cathedral; in the interwar years worked as organist and choirmaster at Exeter Cathedral, and subsequently at Westminster Abbey, where he was responsible for the music at the coronation of George VI. In 1941 he was made Principal of the Scottish National Academy (later the Royal Scottish Academy) and Professor of Music at Glasgow. He was actively involved with the Arts Councils of Great Britain and Scotland, the Royal College of Organists and the Associated Board of the Royal Schools of Music, and during his second year as Director of the RCM he was responsible for providing the music for the coronation of Queen Elizabeth II.